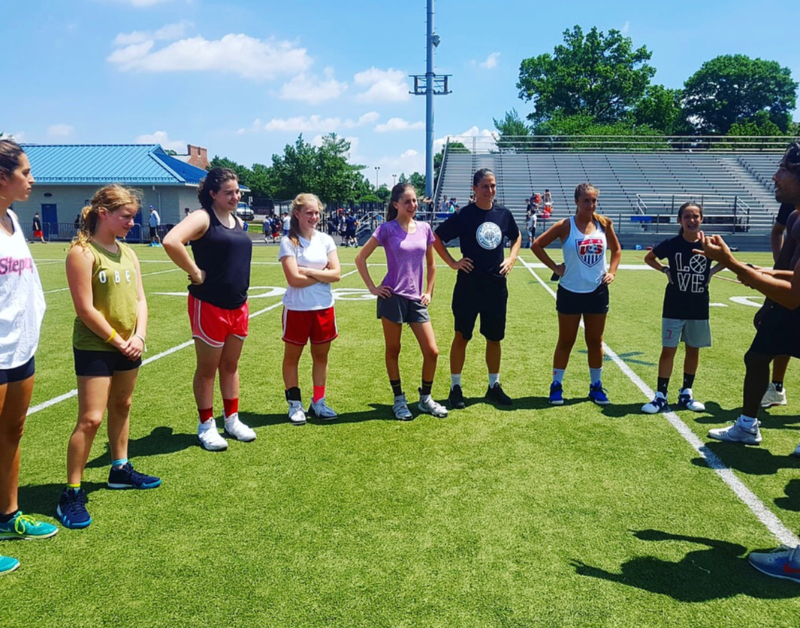 Our inaugural girls’ program this past summer was a huge hit with girls attending from Silver Spring, Washington D.C., Houston, Chicago, Detroit, Manhattan, Englewood, Teaneck, Deal, Brooklyn and Israel. This year we look to grow off of last summer’s success and continue to develop a girls camp that will soon rival our boys’ camp. Summer 2019 will cap off at 100 total girls with no more than 60 at any given time. Reserve your spot today. WHAT IS STEP IT UP? Step It Up is a sleepaway camp for basketball players. We take a 360 approach in the way we teach the game while providing the full summer experience for all of our campers. The food is really good. The staff is experienced and supportive and the program is well thought out. Check out our schedule below. Boys Campus and Girls Campus have three daily meals together, take field trips together and enjoy Shabbat together. With the exception of that, the programs are run independently. We tackle every facet of the game, both on and off the court. Our dedicated team of coaches have developed and designed a proven program that empowers our campers, enhances their basketball skills, encourages teamwork and sportsmanship, and instills confidence in every aspect of our campers’ lives. Campers are immersed in a variety of training from skill development to speed training, physical strength training, mental sharpness, self-awareness, and game theory. Our experienced and highly motivational team prepares our campers for tomorrow’s game and the road ahead. 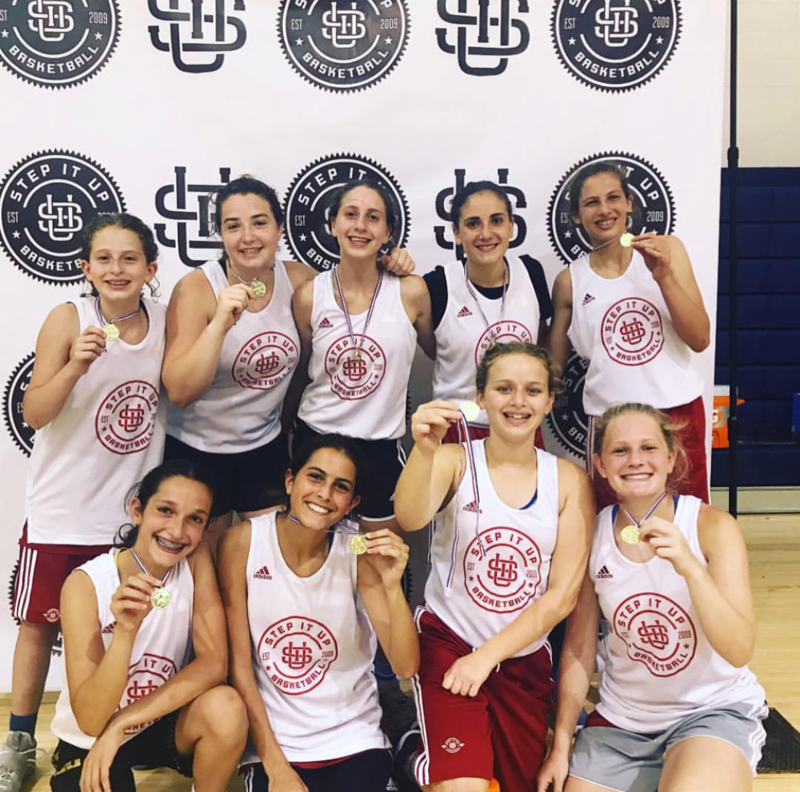 Much more than a basketball camp, at Step It Up we take great interest in each one of our campers and challenge our girls to embrace hard work, challenge themselves intellectually and make lifelong bonds while experiencing the summer of their lives. My daughter came back home more confident, happier and more fit. She absolutely loved it! This program exceeded all of my expectations. My daughter Jordana has been a camper in your program the past two weeks. I am not sure if you have met her but I just wanted to reach out and thank you and tell you what an unbelievable time she is having. 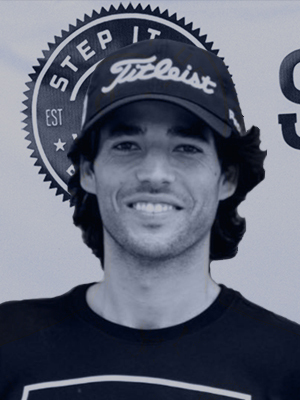 Coach Yogev and the Staff at Step It Up are masters in their craft. Step It Up helped me completely transform my body in preparation for my college basketball career. The work ethic and go getter mentality that Step It Up instilled in me was actually carried over to my schoolwork and classwork. My daughter came back home more confident, happier and more fit. Step It Up coaches are experts in their areas of focus. Our staff roster brings together over 40 current and former college and professional players, coaches, and sports specialists. Each athlete is challenged to define his goals upon his arrival at camp, all while receiving encouragement and support throughout the program from our team of experts. Our summer program offers an unparalleled 5:1 player to coach ratio. Players are divided by age and skill level. Grades 3/4, 5/6, 7/8, 9/10, 11/12, NCAA. Players work in small focused groups throughout our 200 acre campus. While 3 point guards are working on court vision and decision making and another 5 forwards are working on post moves, there are 4 more kids in a classroom working on self awareness and good morals and values that they can apply internally and out into their community. These life lessons are a staple of what we do and how we do it. Our coaches and counselors are background checked to ensure that your child is not only coached by qualified professionals, but are also in a safe and supporting environment while away from home for the summer. Owned and operated by Yogev Berdugo, a rising star in skill development and coaching in the country today. Yogev is a former D1 NCAA college basketball player and professional player in Israel. Upon founding Step It Up in 2009, we set out on a journey to advance the game of basketball. Since day one we have stayed true to our craft with an unwavering commitment to skill development, character development and daily growth. As we enter our seventh year, the hard work is paying off. The feedback from players and parents has been tremendous and the results are apparent on and off the court. Year round, Yogev, lends his expertise in consulting for high school and middle school teams by implementing different schemes, running skills clinics and designing practice plans and full season curriculums. In the springtime, Yogev develops current and perspective NBA Players for the NBA Draft as well as European Leagues. Yogev served as assistant men’s basketball coach at Yeshiva University where he helped build a winning tradition along with coach Elliot Steinmetz. The two established a fast paced yet methodical offense, complimented by an aggressive man to man defense which gives them a real chance to compete in the conference as well as for a spot in the illustrious March Madness – NCAA Tournament year in and year out. Yeshiva University basketball is now considered by many as one of the top division 3 teams in the NYC area and NY state while ranking top 20 nationally in assists. I felt that at Step It Up I was able to be the kid I wanted to be. Max arrived home today from step it up (both New Hampshire and Israel). “I had the greatest time of my life” words a parent wants to hear! Max’s stories about his experience are truly amazing! Gabriel had a tremendous year! Granted he went there for Basketball and all the training , discipline, focus that goes with it! What we didn’t expect is the mental training he received! 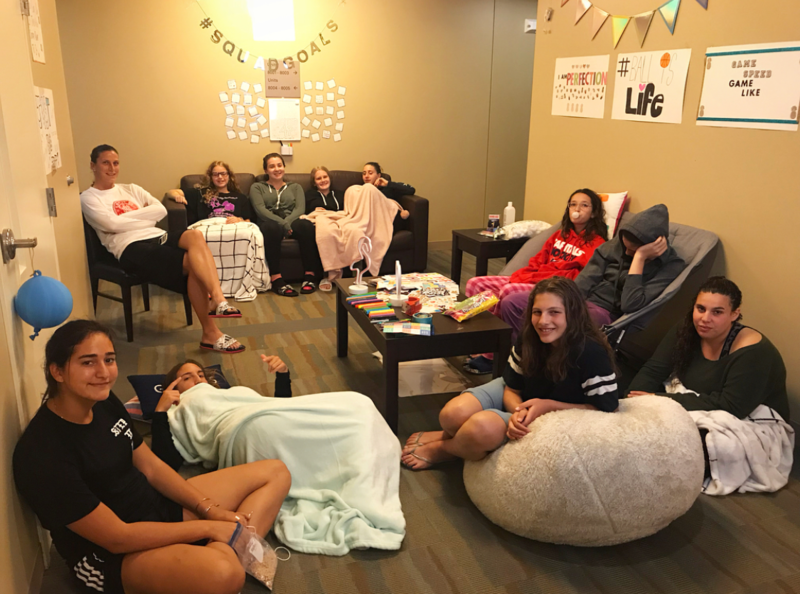 Our inaugural girls’ program this past summer was a huge hit with girls attending from New Jersey, New York, Maryland, Washington D.C., Houston, Chicago, and Israel. This year we look to grow off of last summer’s success and continue to develop a girls program that will soon enough rival our boys’ program. Step It Up is a sleep-away camp for basketball players. We take a 360 approach in the way we teach the game and we provide the full summer experience for all of our campers. Basketball is taught at a high level. It’s at the forefront of what we do but Step It Up is much more than just basketball. Daily ‘Step It Up Talks’ about an array of topics round out the on the court work. The basketball schedule is complemented by afternoon electives and evening activities. Full day field trips are taken every two weeks. The food is really good. The staff is experienced and supportive and the program is well thought out. Check out our schedule below. Boys Campus and Girls Campus have three daily meals together, take field trips together and enjoy Shabbat together. With the exception of that, the programs are run separately. Much more than a basketball camp, at Step It Up We take great interest in each one of our campers and challenge our girls to embrace hard work, challenge themselves intellectually and reach heights never imagined. Players are divided by age and skill level. Grades 5/6, 7/8, 9/19, 11/12, NCAA. Players work in small focused groups throughout our 200 acre campus. While 3 point guards are working on court vision and decision making and another 5 forwards are working on post moves, there are 4 more kids in a classroom working on self awareness and good morals and values that they can apply internally and out into their community. These life lessons are a staple of what we do and how we do it. Our coaches and counselors are background checked to ensure that your child is not only coached by qualified professionals, but are also in a safe and supporting environment while away from home for the summer. Owned and operated by Yogev Berdugo, a rising star in skill development and coaching in the country today. Upon founding Step It Up in 2009, we set out on a journey to advance the game of basketball. Since day one we have stayed true to our craft with an unwavering commitment to skill development, character development and daily growth. As we enter our sixth year, the hard work is paying off. The feedback from players and parents has been tremendous and the results are apparent on and off the court. Year round, Yogev, lends his expertise in consulting for high school and middle school teams by implementing different schemes, running skills clinics and designing practice plans and full season curriculums. Yogev served as assistant men’s basketball coach at Yeshiva University where he helped build a winning tradition along with coach Elliot Steinmetz. The two established a fast paced yet methodical offense, complimented by an aggressive man to man defense which gives them a real chance to compete in the conference as well as for a spot in the illustrious March Madness – NCAA Tournament year in and year out. Yeshiva University basketball is now considered by many as one of the top division 3 teams in the NYC area and NY state while ranking top 20 nationally in assists and 3 point fg%. There are 3-4 girls per room in addition to a counselor. Apartment style living with A/C, washing machine, full kitchen, living room, and a private bathroom/shower. Our lower camp (grades 3-8)and upper camp (grades 9-12) dorms are managed and supervised by our live in camp directors who along with their staff are responsible for waking the boys up, putting them to bed and everything in between. Our home away from home is located at The College of New Jersey in New Jersey, only 90 minutes from New York City, Riverdale, Brooklyn, Long Island, Queens and 60 minutes from Teaneck and Deal. Life Skills Seminars, Step It Up Talks, SAT/ACT Prep, Tutoring. Pick Up Games. Private Training: Basketball / Speed / Strength. Hammocks / Music / Cards / Ping pong / Board games / Football / Baseball / Tennis / Hockey / Golf. Coaches, playbook, pre game meetings, post game meetings, referees. we create a real game environment where players can apply their skills which is crucial to a player’s development. Each night campers enjoy a social activity such as: Movie screenings on the lawn, music, canteen, camp store, hang out time with staff, night ball, lectures on a variety of subjects: nutrition, mentality, goal setting and other life skills. As this is a full summer program we listen to our campers bodies and design each day accordingly. Some days the boys will get to go to bed later, some days earlier. From super intense basketball filled days to days reserved for field trips, pool time, lake time and all the fun bonding and growth that happens at camp. to increase footwork and court positioning. Life Skills Seminars, Step It Up Talks, SAT/ACT Prep, Tutoring, Bar Mitzvah Lessons. As this is a full summer program we listen to our athletes bodies and design each day accordingly. Some days the boys will get to go to bed later, some days earlier. From super intense basketball filled days to days reserved for field trips, pool time, lake time and all the fun bonding and growth that happens at camp. time with your camper and see Step It Up in action.